It seems like a big jump to go from jewellery valuer to Barossa winemaker. But that’s the route Michael Hall’s life has followed. From a childhood in the UK to the ‘rarefied air’ of record breaking gemstones at Sothebys in Switzerland and then back to Wine Science in Wagga on a student visa. It’s an uncommon journey, especially in the Barossa. The quietly spoken Hall is no fool either, graduating dux of the Charles Sturt course and parlaying his degree into a world tour of vintages working at a pretty amazing roll call of wineries – Cullen, Giaconda, Henschke, Shaw + Smith, Coldstream Hills and Veritas in Australia plus Domaine Leflaive, Meo-Camuzet, Vieux Telegraphe and Trevallon in France. With a life like that behind him, it’s perhaps unsurprising that Hall is a noted perfectionist. Indeed his story makes for an easy narrative about jewellery and attention to detail translating into fine wines. Yet what sets these wines apart is that they’re all rather textural, with less of the palate anaemia that some technocrat perfectionists tend to deliver. I had a small quibble about the alcohol on some of these releases, but on the whole, these are well balanced drinks with character at a fair price. From Mount Torrens in the Adelaide Hills, it was handpicked, fermented wild and 14 months in 20% new French oak. A beautiful wine, with vaguely meaty black and red berry fruit in a cool climate mode. 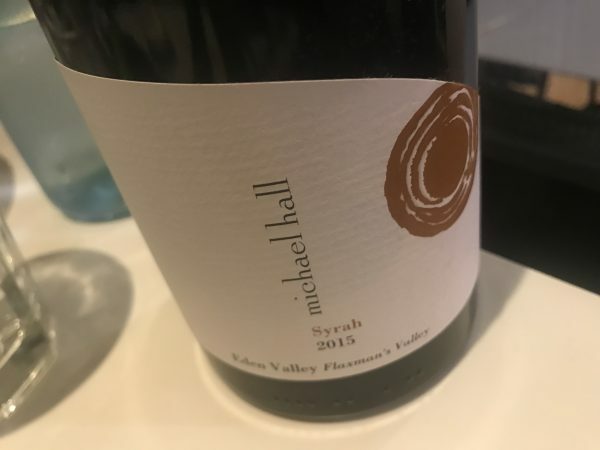 There’s this spicy fullness here – it’s obviously ripe and chunky, but with a meaty, Syrah edge to it, the alcohol more a little sweetness than anything else. Masterful Hills Shiraz. Best drinking: Now to 12+ years. 18.5/20, 94/100. 14.2%, $50. Would I buy it? Yes. From a block on the edge of Seppeltsfield and Stonewell. Spends 21 months in oak (12% new). Despite the oak ageing and the alcohol, this almost feels more Eden than Barossa thanks to the licoricey dark plum fruit. The palate is still plush, coffeed and warm hearted but its not hot. It’s not overt, just layered with savoury richness. Excellent stuff of savoury depth and maximum flavour. Best drinking: Now to 15 years. 18.5/20, 94/100. 14.4%, $47. Would I buy it? Yes. 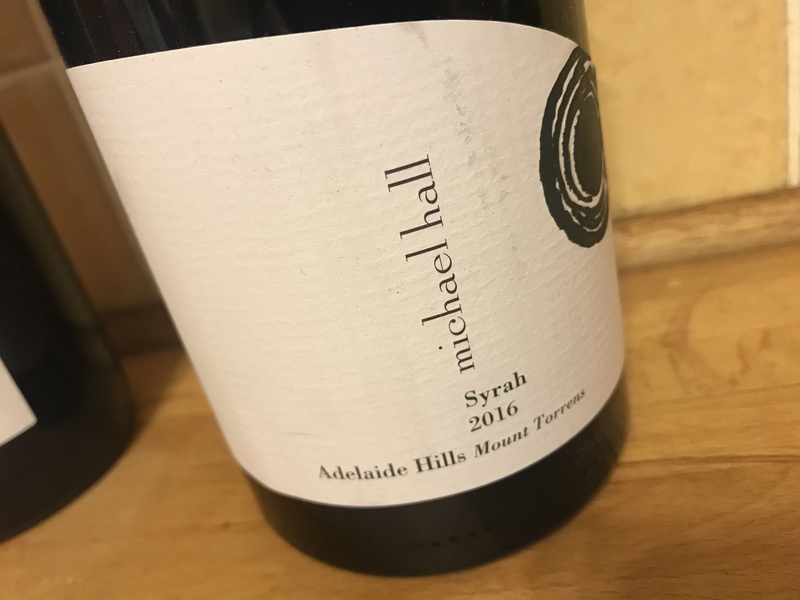 Probably the most famous Michael Hall wine and in a quite expressive form this vintage. Wild fermented in barrel, 60% went through malolactic fermentation. Spends 11 months in French oak 36% new. Just 1730 bottles produced. There’s a honeycomb opulence here that reminds me a little of Brian Croser’s Tapanappa Chards (which is a good thing) with a little winemaking induced funk/ The palate follows a similar path, starting with some width before it cuts back in with a progressively more citrussy finish. Quite masterful the winemaking here, balancing out the toasty peach fruit with enough acidity to hold things together. Delicious fuller flavoured style. Best drinking: Now to 7 years. 18/20, 93/100. 13.2%, $50. Would I buy it? Yes. Now this is how to make complex Adelaide Hills Sauv Blanc! Hand picked, pressed to 33% new French oak for ferment, 10% fermented on skins. 9 months maturation. Straw green, there’s a little creme brûlée caramelised custard, the palate balancing out it’s fresh, lightly citrussy acidity with layers of custard through the rich finish. Maybe a fraction angular underneath, but I like the layers of flavour in this fumè style. Will get even better with bottle age. Nice. Best drinking: Now to 7 years. 17.7/20, 92/100. 13.3%, $35. Would I buy it? Chardonnay first, then this Sauv. Lenswood Pinot Noir, includes 25% whole bunches and spends a full 32 days on skins. 11 months in barrel. Full, lavish style with ripe redcurrant tending towards almost red plum. Slightly warm and sappy, it’s a warm year wine complete with drying tannins. Has the flesh to compete with the drying weight but still just a bit blunt and firm. Best drinking: Probably better next year then to 8 years. 17.5/20, 91/100. 13.5%, $47. Would I buy it? A glass or so. Now for something different – a barrel selection of Chardonnay from the Wonderful Garden Vineyard plus 10% Sauvignon Blanc. 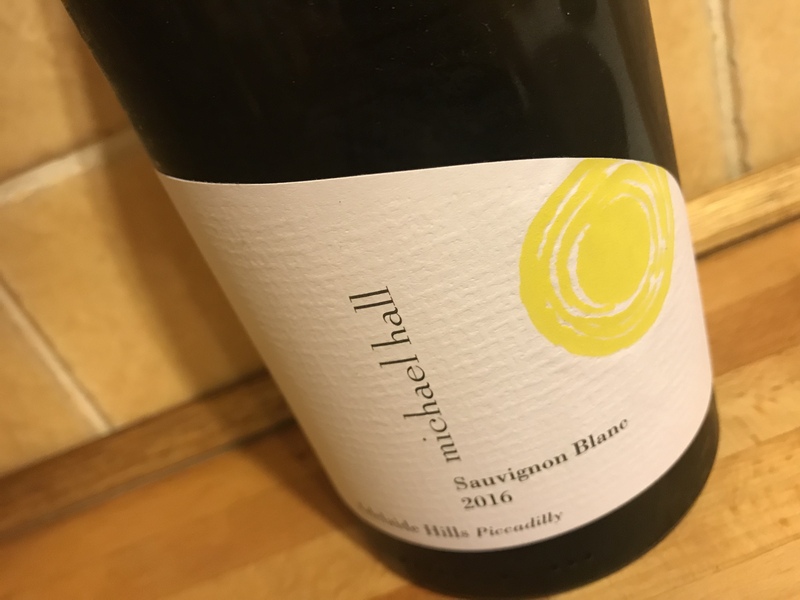 It’s principally a gently toasty, but still svelte and lean Chardonnay at its core, with plenty of acidity to drive things along, the Sauv adding just a little grey rock smokiness. A moderate wine with a lees layer for complexity and good delicacy, but feels a bit subdued compared to the more flavoursome straight Chardonnay. Still quality wine though, hence the score. Best drinking: Now to five years (probably more, but the fruit may fade). 17.5/20, 91/100. 13.3%, $28. Would I buy it? A glass or so. The only wine in this lineup that didn’t move me (and that’s unusual as I would usually pick Flaxman’s/Eden over Barossa Valley or Hills Shiraz), Slightly candied this vintage, with a red fruit alcohol ripeness to it that lacks a little energy, Raspberry, plum and caramel, the flavours warm and round, the sweetness of fruit dominant and then it retreats into alcohol. Has flavour, but doesn’t nail the balance for mine. Best drinking: Up to ten years. 16.8/20, 89/100. 14%, $50. Would I buy it? No.